Home › Jack A. Meyer, Ph.D.
Jack Meyer, Ph.D. is a principal at Health Management Associates, a research and consulting organization specializing in the fields of health care program development, health economics and finance, program evaluation and data analysis. His research primarily focuses on policy reforms to extend health coverage to the uninsured, improving access to health care for vulnerable populations, pay-for-performance, and hospital quality improvements. 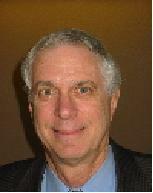 Dr. Meyer is also a Visiting Professor at the University of Maryland, where he teaches a course on health policy. Dr. Meyer received his Ph.D. and M.A. in economics from Ohio State University and his B.A. from the University of Michigan. He is the founder and past president of the Economic and Social Research Institute (ESRI), a non-profit, non-partisan research and policy center that specialized in health care and the reform of social services. Prior to forming ESRI, Dr. Meyer was the Director of Health Policy Research and a Resident Fellow at the American Enterprise Institute where he conducted studies related to the financing and delivery of health care services. Specifically, he evaluated new cost management initiatives in the Medicare and Medicaid programs, and studied long-term care policy options and business health cost management initiatives. Dr. Meyer has also worked as the Assistant Director of the U.S. Council on Wage and Price Stability, where he was responsible for monitoring wage and price trends in the private sector of the economy. Additionally, Dr. Meyer has held positions with the U.S. Department of Labor and the U.S. Department of Housing and Urban Development. Dr. Meyer is the author of numerous books and publications on health care financing, long term care, and labor issues and has led several HCFO funded studies. His most recent HCFO-related work examined business views on the employer-based health care system. This was a two part project. The researchers first conducted a literature review of writings and research on the employer-based system. This review included an examination of new designs for the U.S. health care system made by scholars from various organizations, as well as a review of major national surveys conducted by RAND, the federal government, and others. The results of the literature review were then used to formulate the employer interview component of the study. The researchers conducted in-depth interviews with 56 employers to elicit information on what business leaders see as the essential ingredients for reforming the employer-based system. The researchers interviewed roughly an equal number of employers from four firm size categories: very small firms (2 to 15 full time workers), small firms (20 to 70 workers), mid- sized firms (100 to 500 workers), and large firms (900 or more workers). The interviewees were companies from all geographic regions and from a variety of industries. The researchers examined questions aimed at understanding how employers view the employer-based system, what problems it creates for them, and how they would respond to a variety of proposals to reform the system, including some that would eliminate the employer's role. Meyer notes that "throughout our interviews with employers, we detected notable dissatisfaction with many aspects of the current health care system and strong desire for reform. Yet the respondents generally favored incremental policy reforms to expand coverage to the uninsured and contain costs rather than a restructuring of the current employment-based system or mandatory participation in that system."